Made from AAA photoluminescent material from Jalite, this Panoramic First Aid Telephone 4292P sign has been designed to work in all weathers at all times of the day regardless of whether the building has electrical power or not. It’s very expensive to place well equipped first aid rooms in every corner of a building. 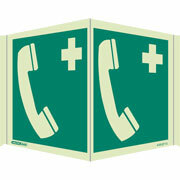 To ensure that nobody suffers from the lack of these rooms, telephones to the main first aid room can be used. This is where this sign comes in handy. The sign has a very convenient 3-D design that enables it to be seen by people from both sides of corridors when placed at the corner. This way, you won’t need to purchase two signs because this one will do the job. 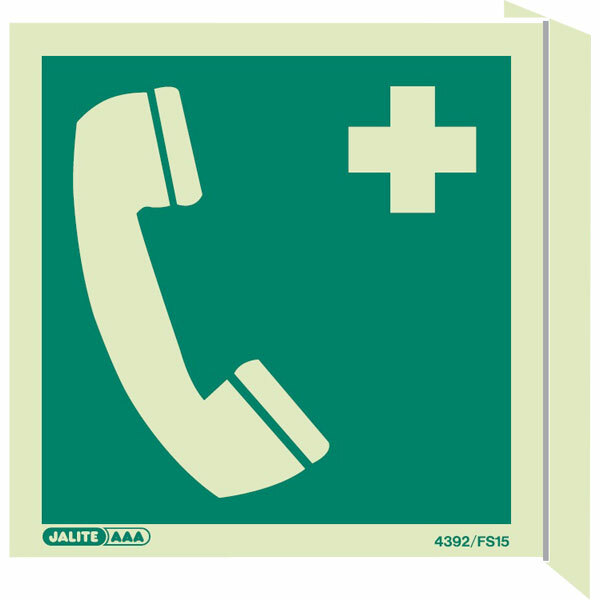 However, it’s important to make sure that you have enough signs for each first aid telephone available.